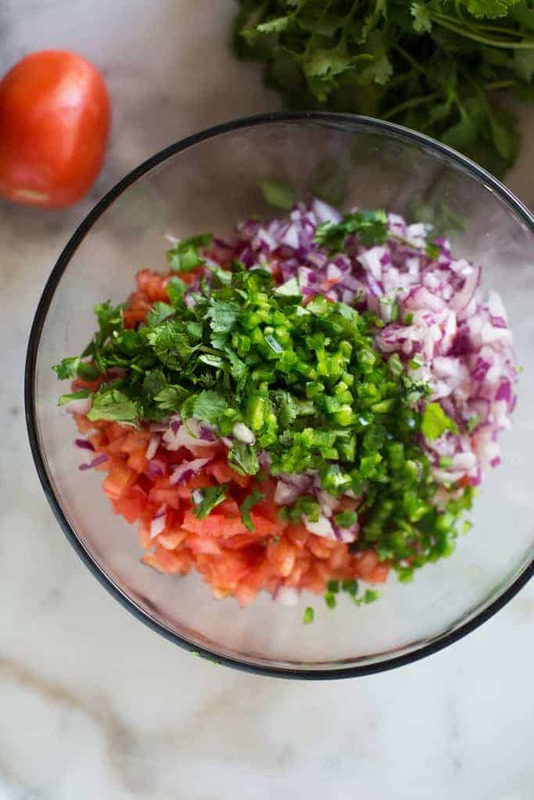 Everyone loves this easy Pico de Gallo recipe, made in just 10 minutes with fresh tomatoes, cilantro, red onion, and jalapeño. The best topping for all of your Mexican food favorites. 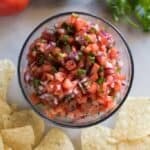 Pico de gallo is one of those staple recipes that everyone should have on hand, and always make homemade! It’s easy, healthy and flavorful. We serve it with tacos, quesadillas, on top of grilled chicken or fish, or just plain with tortilla chips! 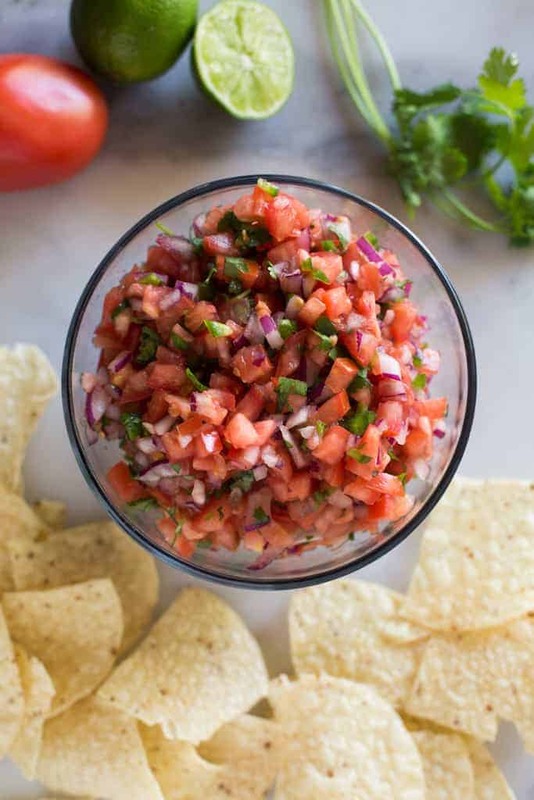 What is the difference between Pico de Gallo, and Salsa? Although Pico de gallo and salsa contain similar ingredients, salsa is more of “sauce” with more liquid in it, where pico de gallo contains very little liquid and is made with fresh, uncooked ingredients. There are tons of different ways to make salsa, with a variety of cooked, roasted or uncooked tomatoes, peppers, spices and other ingredients. Here’s my favorite 5-minute homemade salsa recipe. Pico de gallo, on the other hand, always contains the same ingredients: fresh and uncooked tomatoes, onion, cilantro and jalapeño. Both pico de gallo and salsa are popular toppings on Mexican food, inside tacos or served with tortillas chips. Pico de gallo is best eaten fresh, within 12 hours of making it. Store in the fridge. *I originally shared this recipe April 2015. Updated May 2018. Made last night to go with fajitas. I also seeded the tomatoes. Was so fresh and delicious!